There are a hundred different medicines that you can use to treat acne. There are over the counter creams and lotions as well as prescription medicine designed to help treat acne from within your body. For the acne sufferer there are alternative ways to treat acne without spending too much and is considered much safer as it is natural. Herbal acne treatments have been proven to work and have been around as much as acne creams and medicines have been prescribed and advertised. Acne is not just a simple blackhead or pimple but are large papules and nodules that form under or on top of the skin. It is a disorder in which the pilosebaceous glands of the skin are infected. They can affect anyone from any age group, male or female. Acne can occur on the face, back, chest and shoulders. Some known effective herbal acne treatment includes the tea tree oil which is antibacterial in nature and has a drying effect on the skin. Keeping the bacteria that causes pimples at bay while reducing the oiliness of your face makes it one of the most popular herbal acne treatments in the market. You can use it by applying a small amount of the undiluted oil onto the affected area or add it to your toner or nightly cream. Studies have also shown that regular intake of green tea helps lessen acne. It is just as effective as over the counter medicines without causing too much irritation on the skin. Green tea aides in detoxification and therefore, helps in the overall cleansing of the body. It also calming and refreshing which helps the body de-stress and relax. You can also try this infusion which uses a warm compress to open up the pores and rid it of trapped dirt and oil. Boil a quart of water in a pan and then remove it from the heat. Add a cup of dried thyme leaves and let it steep for 20 minutes. Let it cool down for a bit and soak a washcloth in the mixture. Wring the excess water from the washcloth and put it on your face for 15 minutes. Repeat if desired then remove the washcloth and apply an astringent. 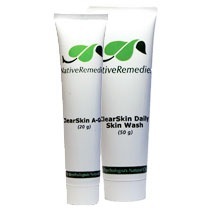 There are very few side effects for using herbal acne treatments and certainly is less irritating on your skin. Their efficacy is the same as prescription medicines and those store bought creams and lotions. These alone present no reason why you shouldn’t try these alternative treatments to cure your acne.